Piper & Muse, where meaningful details create signature events. Exceptional service, impeccable taste, and a smiling face to help you through design, planning, and execution. For a thoughtful event - one that tells your unique story - contact Piper & Muse to schedule your consultation here. The average wedding takes about 250 hours to plan. Maybe you already have a full time job and don't want to take on this "part-time position" of planning your wedding. Maybe you have started planning and want your life back. Either way, Piper & Muse is here for you. We are confident in our knowledge of the local industry and our relationships with the top vendors and venues in Houston. There’s no need to waste your time at bridal shows or countless vendor visits. With our preferred vendor list, you can count on exceptional quality and service. Some vendors we work with give us a discount that we love passing onto our clients. But more importantly, it’s our connection and knowledge of this industry that is going to get you the most for the money you have to spend. We understand how to manage a budget and will keep you on track throughout the planning process. Weddings can be stressful but we offer advice, and tops to avoid common problems. Hiring us takes the stress off your family and friends on the big day, freeing them from the tedious, busy work that happens behind the scenes. When we are involved, everyone is on the dance floor kicking back her heels! As with any big event, there are so many unforeseen circumstances that can arise. With our meticulous itineraries, our bridal emergency kit, and our expert crisis management skills, we are prepared to gracefully handle anything. We will give your event that elegant, but effortless, effect. With our Partial Wedding Planning Package, we act as your support system. Service begins right away and we secure your date up to 18 months out. You’ll be given a detailed wedding planning timeline and budget spreadsheet. We hold you accountable for tasks and help you set the overall budget. Using our spreadsheets, you can monitor your payments and progress. 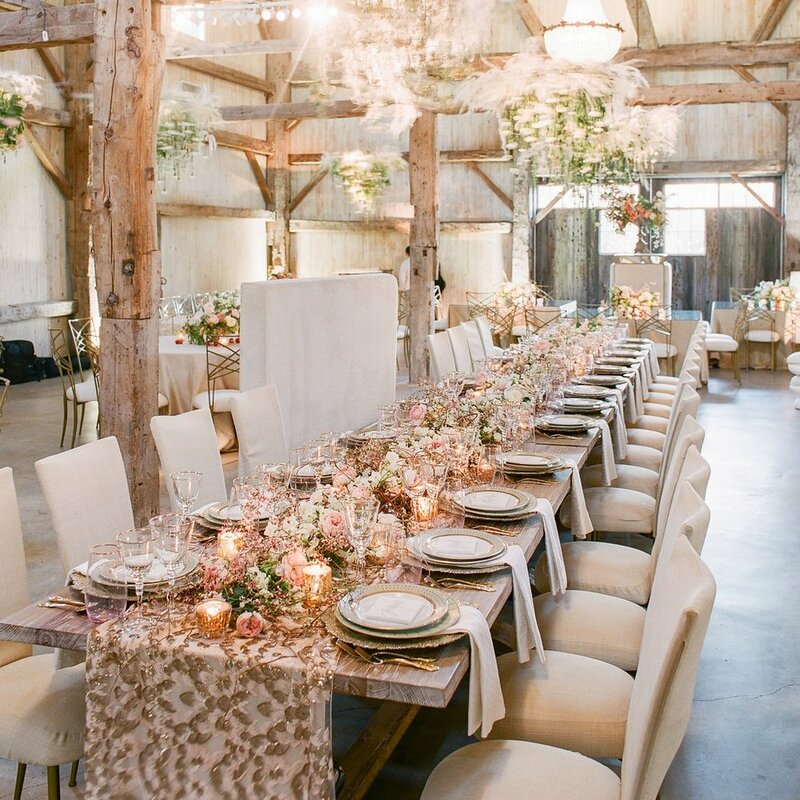 Piper & Muse will hand-pick all vendor recommendations, based on your unique wedding style and budget, and help set meetings, review contracts and get them booked. We also happily answer any and all etiquette questions throughout it all. Wedding Day Coordination included. If these services sound useful, the next step is to contact us here for availability and pricing. A Wedding Day Coordinator is a necessity so that everyone––but most importantly you––can relax and enjoy the most precious moments you’ve been working toward. Also known as Month-Of Coordination, this service begins 6 weeks prior to your wedding date and is available to secure your date 4 months in advance. At the 4-month mark (or as soon as you book), we can give you vendor recommendations for anything you’ve not secured yet. With our check list in-hand, you’ll be ready to complete your final tasks. We’ll re-group for a Detail Planning Meeting, where we put together your wedding timeline, ceremony logistics and more. In the final month, we fully take over vendor communication and tie up all loose ends. We then conduct your rehearsal and wedding day from start to finish, Emergency Kit in hand. Contact us here if you haven't reserved your Day-Of Coordinator.